Another good security reminder that we would like to share and emphasize is that of practicing good habits for your electronic devices. In the current age we make use of technology in a grand scale, and something that we suggests to better keep track and keep a hold of your own devices like phone, laptop, tablet and so on is simply to remember where you put them. Of course promoting good security habits is something that locksmith has always been an advocate for. 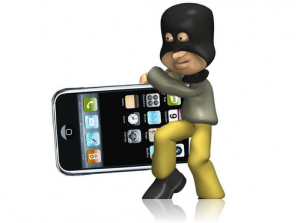 And with the increased risk in having many portable devices we see it even more important to keep this in mind. So after you’ve you use your smart phone, tablet, laptop, mp3 player, kindle and so on. Just remember to put them away, out of sight and out of reach of potential burglars. It takes only a few minutes for an opportunistic burglar to reach though an open window and pick up the phone that’s been left charging on the desk or near the window. So from your 24 hour locksmiths, keep good habits for where you place your equipment when you are not using it, hiding away and placing out of view and reach of potential thieves. And if you have any questions at all please feel free to get in touch with the experts here. Should you be out to find a better home security situation for yourself, you can always rely on the staff here to do what we can to help those searching to find it. You can call at any time should you need emergency assistance with something, the swift emergency service understands urgency, just as we understand security and what makes a good over all situation for you. You can book in for a security inspection with a crew of trained professionals who have trained their senses and skills for many years in order to bring you the best current solution. Having your home looked over by someone with the skill and knowledge needed to spot risks and strengths is always beneficial, which is also why we recommend this for anyone new to the field. By instating some routines which have your security in mind, you will automatically provide yourself with better protection, and good security habits will always work in your favour, even when you are unaware of its benefits. Call your locksmith service today to find out more about how you can make your daily habits and routine into something which from a security perspective is both clever and effective. The workers here exists to facilitate your way to better protecting yourself and your family from potential risks, and the services you receive from your swift locksmith service can also extend to your business as we also serve businesses. In which we advise, install and supply what is needed, of course you can also employ this wonderful men and women here for regular maintenance and security checks should it be something you require. Call us today to find out more about your security situation, and keep in tune with our website updates which brings you the latest from us and the industry. With a Swift Locksmith service dedicated to you, you will always be able to find exactly what you need, and as far as locks, keys and security, you’ve come to the right place. If you follow us here you can be sure to get an inside view of something not commonly thought about, although ever present and a part of your everyday life. Take your keys for instance, they are something that will be with you for most of your days, and item of the highest possible value, as it allows you access to the place you call home, or work, the place where you make your life and your living. If you keep in tune with us here, we’ll be able to help you with tips on how you can best keep your keys safe, both from potential bad intentions as well as from your own business. Simply meaning that this swift locksmith service will bring you advice on things which are good to keep in mind when it come to your own keys, meaning a smoother and less stressful every day for you. 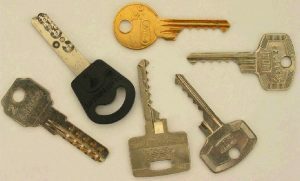 In terms of locks, of course anything from repairs, replacements and new installations is something that we can help you with. 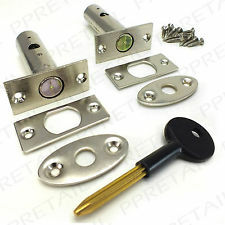 Anything from making the choice of what type of lock solution would be best for your front door, your back door, you window locks your patio doors and so forth, all the way to complete installation. 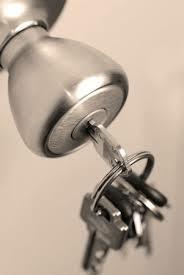 Speak to an experienced locksmith provider at the other end of the line by calling our number. Are you one of the many out there who are thinking about how to improve your home security situation but don’t know quite where to start? By getting in touch with an expert who is not only apt at spotting weaknesses in any existing security situation, but who knows the market, the risk trends and who help you build intuitive and innovative solutions tailored to your situation. Speaking with the lovely swift locksmith service you will begin your journey towards a more secure home, lessened risk for your financial investments and of course safety of a higher standard for those you love. And if you are worrying about the price, your swift locksmith service is happy to inform you that the cost of keeping good security at home is something that with current developments both with technologies and the industry market, there are many great high security products and solutions which are both affordable and effective. To find out more feel free to give your swift locksmith service a call, no matter what you have in place already or what type of ideas you have with regards to your security, we listen to you and always keeps clear communication. With competitive prices on the wide range of services available, you will not find a better provider in the area. All your questions, requirements and queries are received well here. So if you want to ensure that you are up to date with that you need in security terms at home, get in touch with a swift Locksmith service expert who listens to you and who is always on your side. 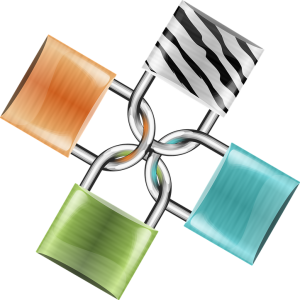 Security and locks may sound a boring topic for you, however once in awhile it’s important that you visit this topic, and who knows, perhaps you will find it more interesting than you first imagined, especially if you are new to the field. Locksmith has helped many private individuals and business owners with realising that security is both relevant, important and fun. For us, locks, keys and security are a passion, one that we wish to share with our customers through a quick and efficient service regardless of what requirement that you come to us for. And you can come to us for practically anything. We’re flexible, ready, available and competitive in price, all our work is of the highest quality and we stock only products which are trusted and ranked the highest by the specialists in the field. On top of that we also keep on top with the latest news, the latest entries on the security industry market and of course with what is going on locally. Our aim is to bring good security and good practices to every home in the neighbourhood. If you’ve not given though to home or business security for quite some time, don’t delay any further, get in touch with locksmith specialists who knows what you need, and who brings it to you without hassle and at low cost. We’re also here 24 hours a day, just in case there is a harsh lockout situation that needs to be resolved with priority. Call any hour of any day and be met with a friendly locksmith worker who understands you and who is there to assist you in the best way possible. 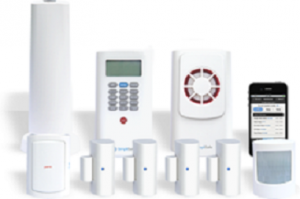 Should you be interested in the topic of security, for residential use or for business use, you can always get in touch with the team here to get some clarity. Providing both guidance and recommendations to optimise your security is something that we do with great pleasure as security is a topic which we are happy to see spread. The simplistic reason for this is as follows: By improving on your security, it can be for your home or your workplace, you will automatically raise the security awareness in that area, and if you in addition to that speak to neighbours and fellow entrepreneurs about it you will also help remind them to the importance of it. But that is not the main point, the way that your dedicated locksmith looks at it shows a heightened security in the area as a whole, and if you bring it to the next level it could mean a whole domestic neighbourhood or cluster of businesses are conscious of their security, in which the area will become highly threatening to anyone who might be tempted to commit burglary and other crimes of theft, vandalism and sabotage. If you are unsure of how it works, or if you would like to know more from a trained locksmith who have many years of training and experience in their past, feel no hesitation with regards to giving us a call. You can call at any time of your own convenience, and we will be able to help you with your questions, your quotation needs, your security installation requirements, repairs and much, much more. The accumulated knowledge and passion that exists for the security industry with your locksmith will no doubt put your security up a notch, all you need to do is take action and give us a call now.